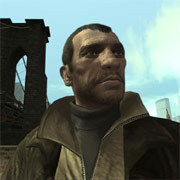 Niko Bellic is the protagonist from the 4th chapter in the Grand Theft Auto series. Business in his little known eastern European home country is not going well. On the other hand things seem to be going great for Nikos cousin in America: Supposedly he has more cars, women and money than he knows what to do with and convinces Niko to come to America. 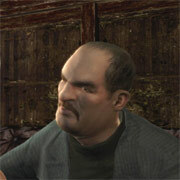 Roman is the cousin of Niko. He is well known as an optimist, liar and dreamer. These characteristics help Roman among other things in convincing Niko to come to America. 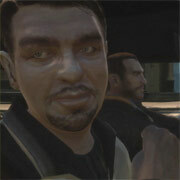 His lies and dreams can not disguise the fact that Roman has some serious problems: Instead of the supposed women, cars and money, he only has a small Taxi company and has many enemies in Liberty city as well. Just like Roman, Vlad lives in a world of fantasy. He thinks of himself as a big-time gangster with a feel for good deals. He is so convinced of this that he thinks he rules Brokers district “Hove”. However in reality, he is just a small fish who is trying to make a name for himself in the scene with small deals. 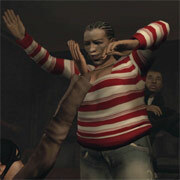 For more than ten years now Elizabeta has been a successful drug dealer in Bohan. The secret to her success has been keeping her business small and inconspicuous. She also has an intuition to get people out of the business at the right time. 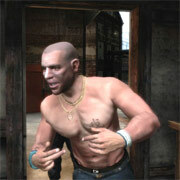 Since the police have been cracking down on drug dealers, Elizabeta has been a target of police investigations and thus under increasing pressure. Manny was formerly someone you wouldn’t want to come across on the street at night. He was there as graffiti, hip hop and break dancing were introduced. 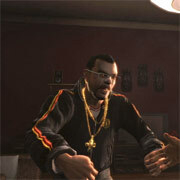 But Manny has transformed himself from an ice cold gangster into someone who wants to clean up the streets of Liberty city. His target is to give other people a way out of the violence. 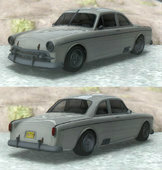 Brucie could be described as a fitness junkie, car freak and self designated VIP. He lives the way he thinks the men in magazines would live and relishes it every day. The fact that he has nothing other than women and money doesn’t bother him. For him the only thing which is important is to be able to continue his current lifestyle.